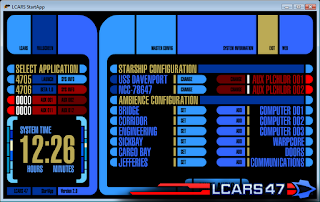 The old StartApp simply doesn't handle the requirements of LCARS 47 anymore. 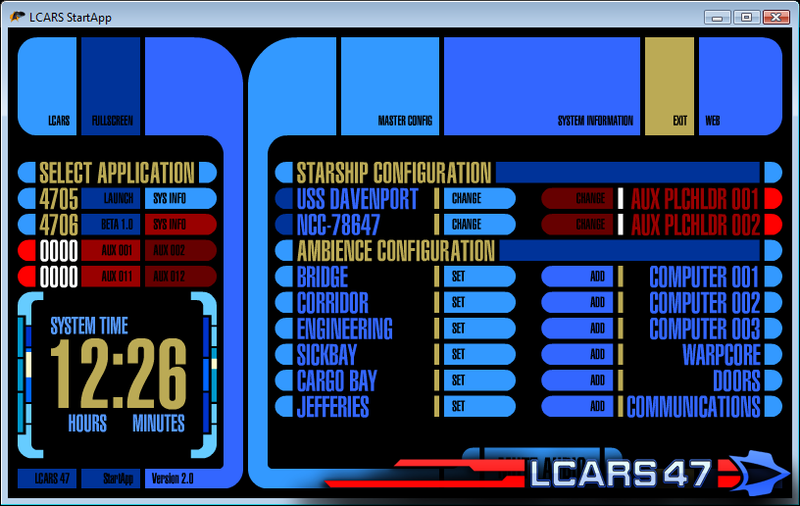 To display all the relevant data and still reserve space for future expansion, more space was needed. There's now better support for the custom name and registry fields under "Starship Configuration", with an option to load the config files into your favorite plain text editor. An "Ambience Configuration" panel has also been added so you can select from a number of ambient sounds to play to make your experience all the more realistic.